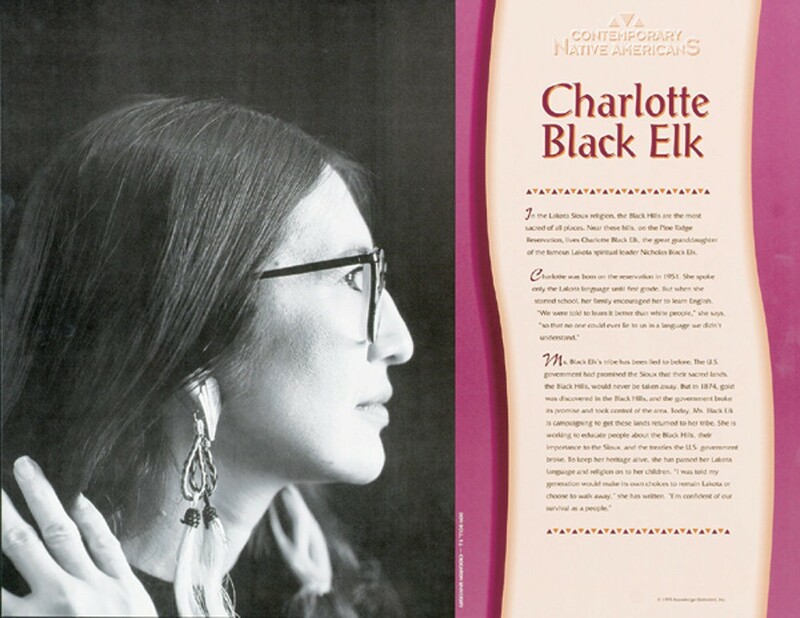 This educational poster of Native American activist Charlotte Black Elk features a striking photo of her, as well as biographical text describing her life and accomplishments. 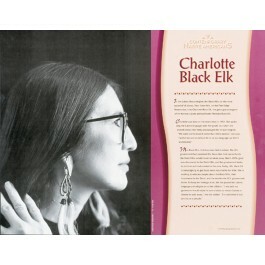 Charlotte Black Elk is the great granddaughter of the famous Lakota spirtual header Nicholas Black Elk. She has become well known as the main advocate for the Lakota people, and their claim to the Black Hills, their sacred land.